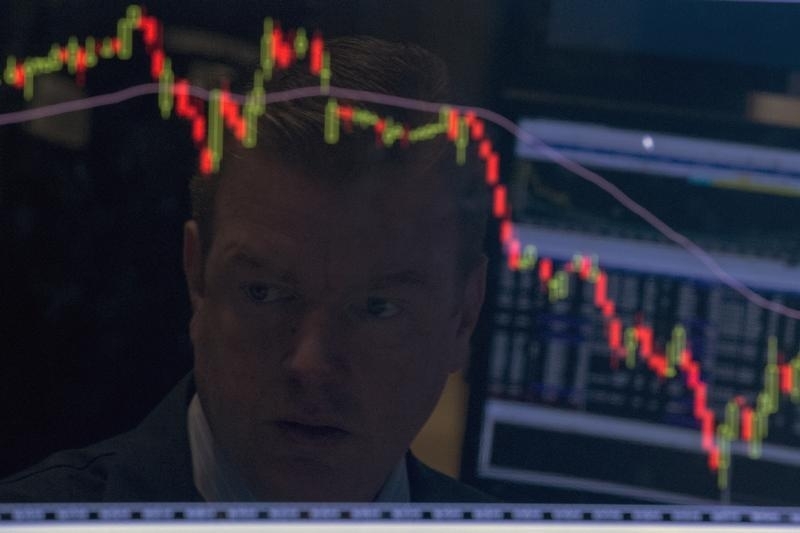 A specialist trader is reflected on his screen on the floor of the New York Stock Exchange August 25, 2015. For the first time since 2013, no country in the MSCI World index is seeing more earnings upgrades than downgrades, according to Morgan Stanley analysts. They used a three-month rolling average of 12-month forward earnings to make the calculations. The phenomenon has since the 1980s roughly coincided with either a U.S. or euro zone recession as defined by the National Bureau of Economic Research or the Centre for Economic Policy Research respectively, the bank said.